Modified That Baseballs Meet a NOCSAE Standard by January 1, 2020 (1-3-1) — To maintain a consistent and uniformed standard for high school competition, every baseball manufactured should meet the same level of quality and playability. However, due to the number of baseballs that some high schools have in their inventory, the implementation date was moved back to accomodate that surplus. The effective date is January 1, 2020. Removing an Element of the Pivot Foot Requirement (6-1-3) — This rule change eliminates the requirement for the entire pivot foot to be in contact with the pitcher’s plate. Many pitching mounds are constructed such that it is problematic for a pitcher to have his entire pivot foot in contact with the pitcher’s plate. No advantage is gained by having some of his pivot foot not in contact with the pitcher’s plate. 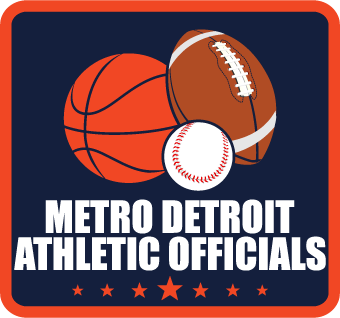 Umpire Signal – Correct Rotation — When using a 3- or 4-person mechanics, the umpires indicate to their partner(s) where they are rotating to a specific base for coverage of an anticipated play. The umpire(s) points with both hands in the direction of the base that he/she is moving toward. Umpire Signal – Information Available — The game umpire indicates to his/her partner that he/she has some information that is relevant by tapping two times over his/her left chest (heart).